Scan, print and manage documents with your iOS device! Or any other multipage document for different purposes. * SCAN with a camera or choose photos from Camera Roll. * PRINT scanned documents, as well as the text from Clipboard, attached to emails documents and web pages. * EDIT scans perspective and borders, apply filters, adjust contrast, correct or change the orientation. * STORE all your scans in iCloud and synchronize them between all your iOS devices. * PROTECT your files with Touch ID or passcode. * FIND documents in Photos with Doc Detector. * SHARE scans separately or send a number of files in one PDF file via Mail, iMessage or simply save to Photos. Accurate scans, simple editing, and sharing: Scanner for Me is your indispensable companion for studies, home finances and business use! * CONVERT your scans into editable text with OCR (Optical Character Recognition) technology. Recognition is available for texts in English, Simplified Chinese, Traditional Chinese, Spanish, Turkish, Russian, French, Italian, German, Dutch, Swedish, Polish, Norwegian, Japanese and Portuguese. * SIGN docs right on the screen of your device! Create & save one or more signatures and add them to scans whenever you need. * HIGHLIGHT the key points of your scans to glean the main idea at a glance. * Subscription payments will be charged to your iTunes account at confirmation of your purchase. 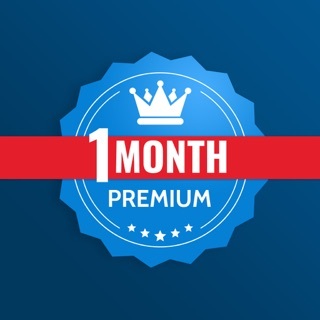 - an annual subscription with a 3-day free trial period (39.99 USD). For other currencies, the price corresponds to the same price tier on the App Store Pricing Matrix. * Subscription with a free trial period will automatically renew to a paid subscription. You can cancel or manage your free trial's auto-renewal in your Account Settings after purchase. The cancellation will take effect 24-hours after the last day of the current subscription period and you will be downgraded to the free service. Got questions or suggestions? Please don’t hesitate to email us at support@apalon.com. - Performance improvements you won’t necessarily notice but will definitely enhance your experience with the app. Thank you for your continued support and comments! Do not hesitate to share your feedback with us via support@apalon.com. We don’t want you to get the wrong idea about our app and hope we can earn your trust back. You can always cancel it through your device Settings - iTunes & App Store - Apple ID - View Apple ID - Subscriptions - Manage. We have no possibility to help with refunds as we do not have any access to users’ accounts. For further assistance with refund procedures please contact Apple support directly: https://support.apple.com/ Thank you in advance! Didn’t realize when I downloaded this that it required a subscription to do practically anything. The free features are too limited (you can only share 5 pages a day) and the premium subscription costs too much, in my opinion, for a single purpose app. I would have paid a reasonable on time fee to unlock some extra features for life, but I am absolutely not going to add another monthly expense to my budget, just for the occasional use. I scanned a 30 page document and then realized there was no way to get it too my computer without signing up for and then canceling a subscription. Even a “pay-as-you-go” option allowing you to pay a one time fee to share the document for like $.99 a pop or whatever would be better for an occasional user. As it is, the app could be useful for someone who uses it for business, but there is no reasonably-priced option for someone who might use it once every couple months or so. You would have to buy a monthly subscription and then remember to cancel. Their business model probably relies on the idea that people will pay for it and then forget to cancel, which is kind of sleazy, in my opinion. Frankly, I loathe the entire trend away from one-time purchases to subscription models for everything these days, and everyone who engages in it should be shamed. There is always room for improvement and we appreciate your kind contribution. It is up to you to decide whether or not you want to get a subscription, but we are always here to ensure that you get the best value for your money. If you are not ready to get a paid version, you can continue using a free version of the app as long as you want. I looked into this app knowing that it was free and because I need this for a school project. The first thing this app asked me was a subscription with a free trial followed by monthly payments. Knowing that I can unsubscribe anytime, I subscribed to the app only to find out that the app didn’t suit my needs. I immediately uninstalled the app from my phone and went to the App Store to remove the subscription. Somehow, this app still had access to my account and took money from me, which I was notified of today because I didn’t have enough money in my account. This is not ethical, and I want to get my money back. As proof, I can send the photo of my downloads. This app was downloaded on May 1, 2018 and deleted May 1, 2018. Please address this concern. Thank you. I did go to the App Store and remove my subscription. I don’t understand how it my removal did not work. Again, I downloaded the app and found out it doesn’t work well on my phone. I then deleted the app from my phone and went to the App Store. I made sure that I removed my subscription the day I registered for the subscription. Somehow my cancellation did not work. I know how to unsubscribe from apps from previous experiences on my personal device and other devices. I just don’t understand how the I couldn’t unsubscribe this one time. Thanks for your response. Thank you for sharing in the comments. Note that subscription remains active if you delete the application. There is no way the application can charge you without your conscious voluntary subscription for Premium (with a free trial period). You were most likely charged because you did not cancel the subscription before the trial ended. Kindly keep in mind that you (and you alone) can cancel a subscription at any moment through your device Settings - iTunes & App Store - Apple ID - View Apple ID - Subscriptions - Manage. Otherwise please contact Apple support directly. Remove limits, watermarks and ads!